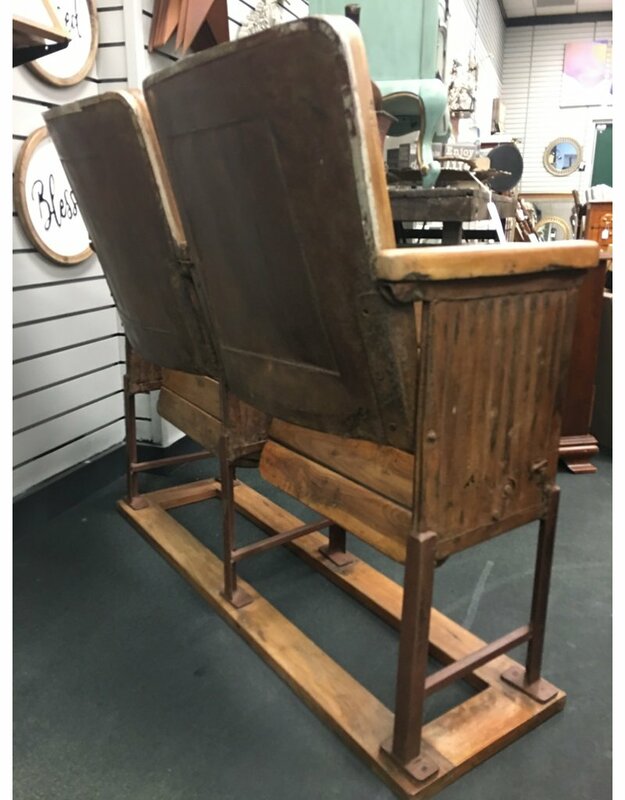 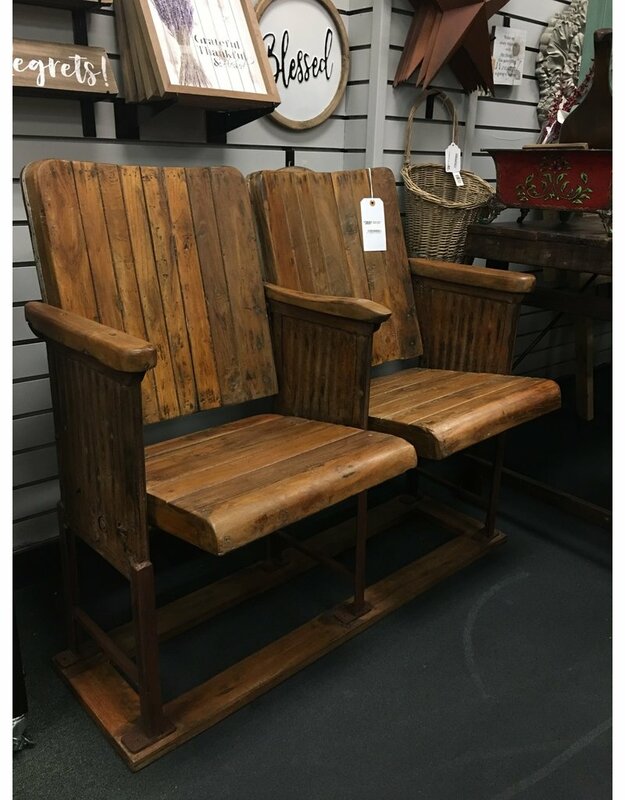 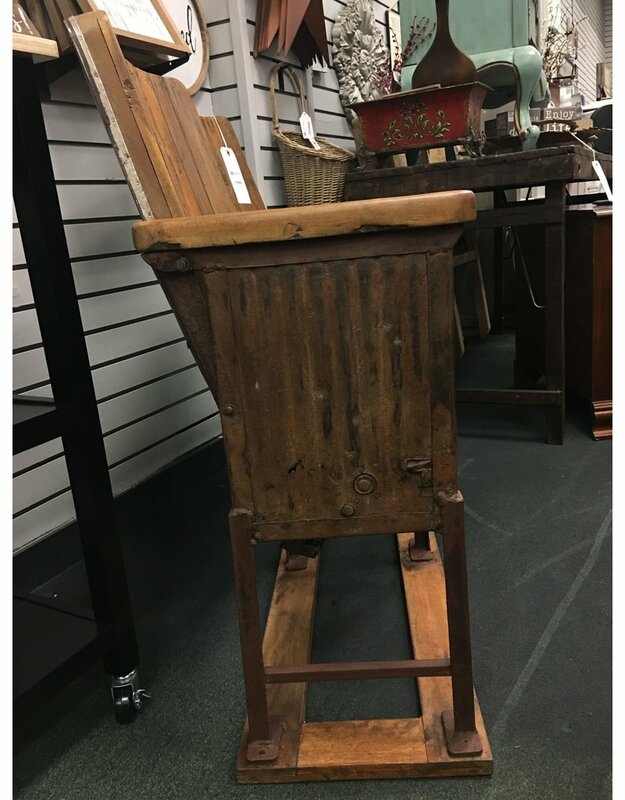 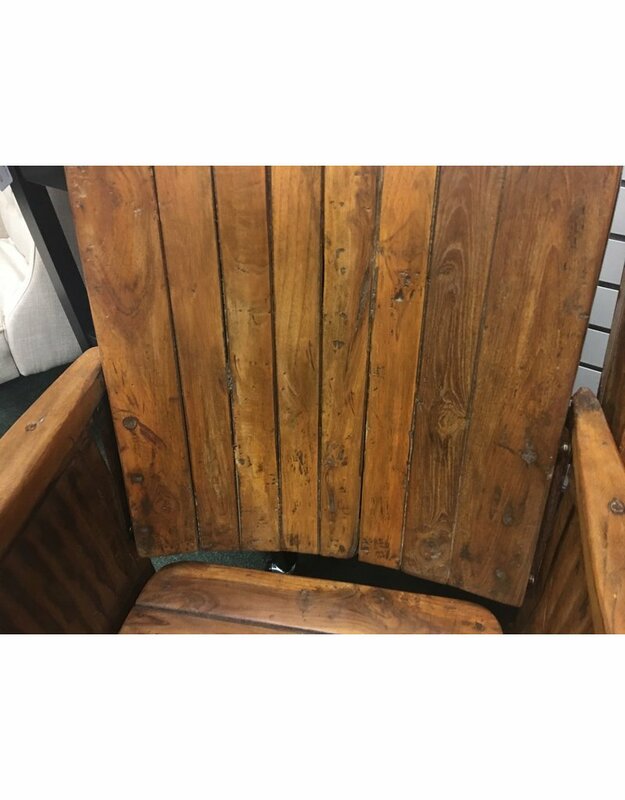 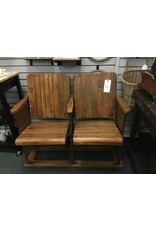 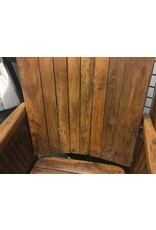 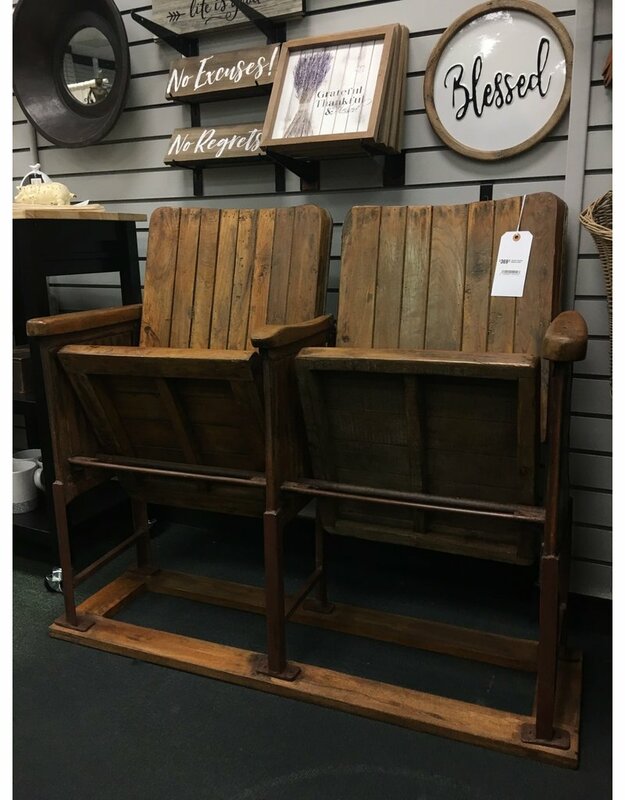 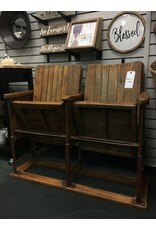 A perfect addition to your entryway or man cave alike, these wooden folding bleacher seats will demand a second look. 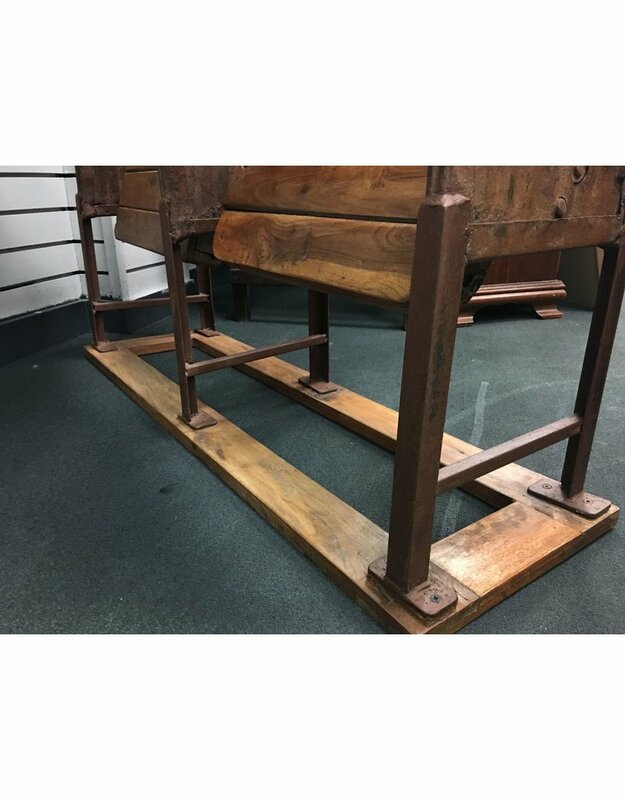 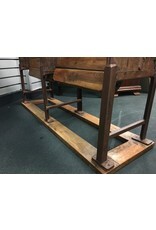 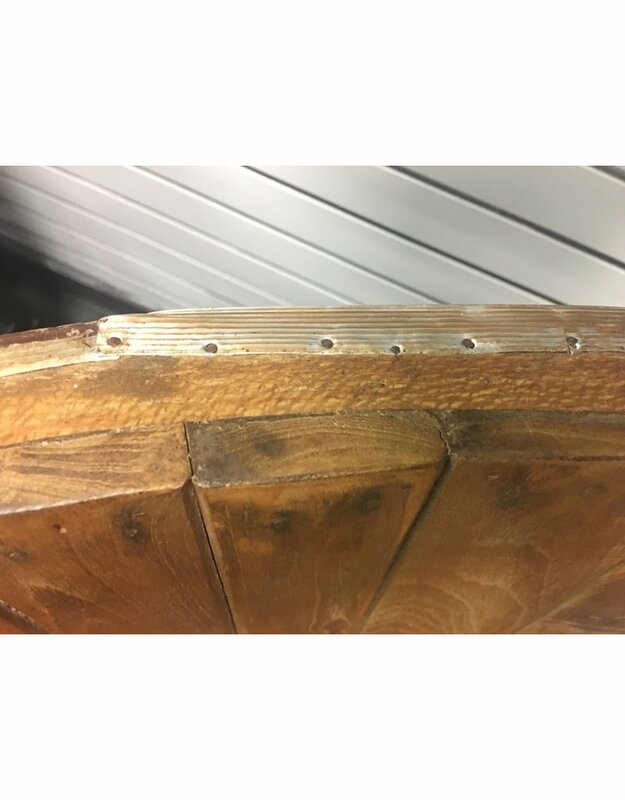 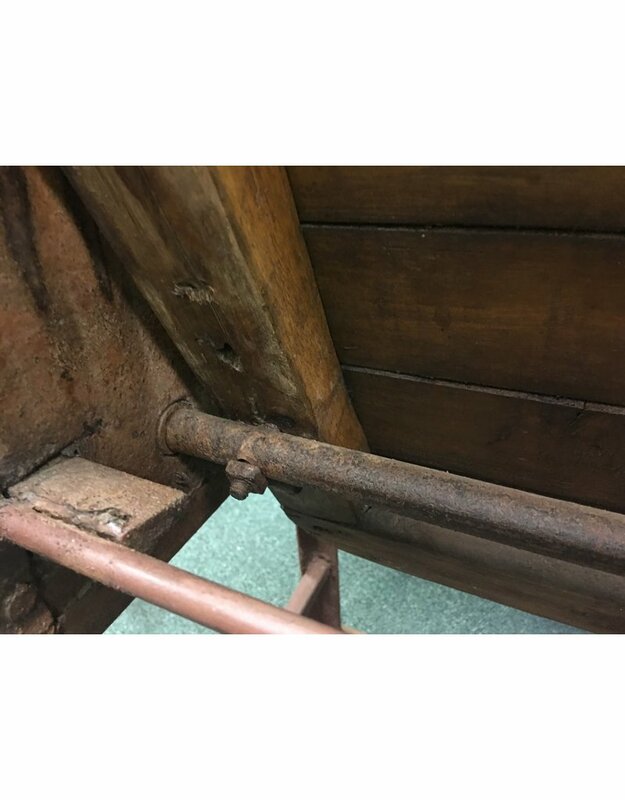 The chairs are mounted upon a rusty iron base and constructed of solid wood that has been backed and separated by metal sheeting. 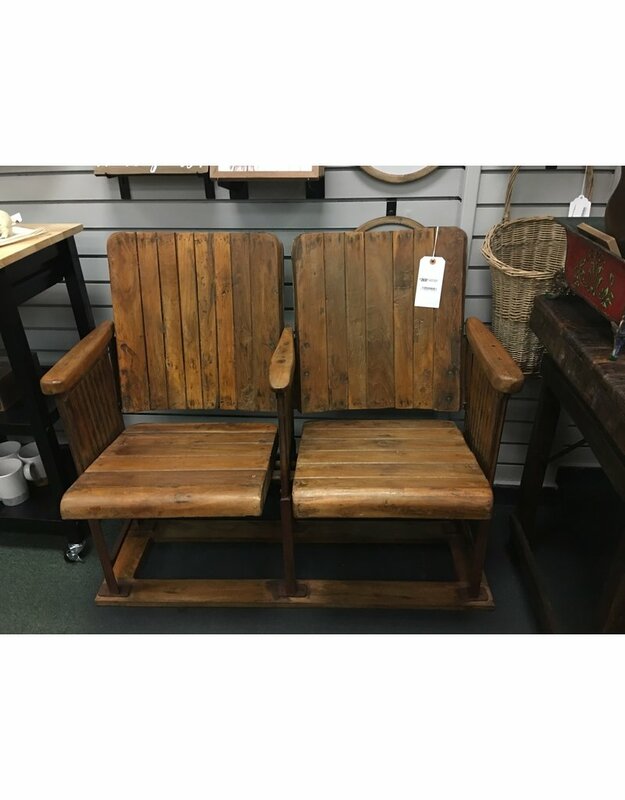 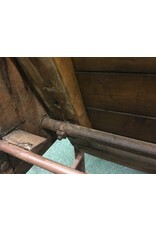 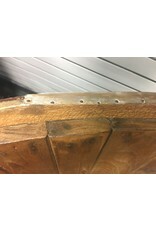 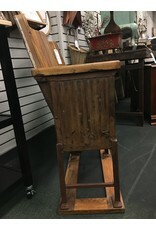 In very good working condition both of the seats are able to be folded up when not in use. 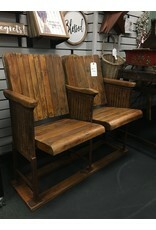 The armrests as well as the seats have been sanded smooth for comfortable sitting. 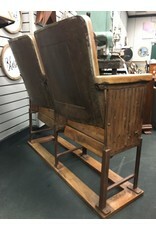 40.25" x 20" x 34"